Writing an article in H&C News initially started because I actually write a weekly blog for our people in bartlett mitchell. I genuinely enjoy trawling through the major supermarkets as part of this process and usually suggest three good value wines, either at full price or on special offer. My favoured supermarkets are Waitrose as I live a few hundred yards from one, Tesco, who have a fine wine buyer, and Sainsburys. The one I go to the most is Sainsburys as I particularly like their ‘Taste the Difference’ range. I have been drinking TTD Gewürztraminer for years. Lovely flavours of lychees, rose petals and Turkish delight. Produced by a top vineyard, Cave de Turckheim, great wine with spicy food, and at £8.25, it’s a snip. With my affection for the Languedoc, I tried their TTD Languedoc White with its peach, lemon curd and melon flavours from the Grenache, Marsanne and Vermentino grapes. It really is a marvellous blend and an absolute corker at £7. I was delighted to see that Olly Smith in The Mail on Sunday recently recommended the TTD Vermento Salento 2016 from Puglia in Italy. This white wine has great acidity with peach and pear flavours coming through. You can pick up a bottle for £9. But the TTD is not only white wines. They have some lovely reds. I greatly enjoyed the TTD Crozes-Hermitage 2014. Its big, bold and has lots of black fruit flavours, spices and liquorice. This is great wine from northern Rhone. Although a few other grapes are permitted, this is a 100% Syrah grape wine. £11 will get you a bottle. TTD Languedoc Rouge isn’t bad at £6.25 a bottle. Intense and well-structured with black fruit flavours and toasted spices, lovely with grilled meats. I think I’ll finish with a port, leaving the TTD Pic St Loup, Chateauneuf-du-Pape, Claret (at £7!) Pouilly Fume and others for another time. 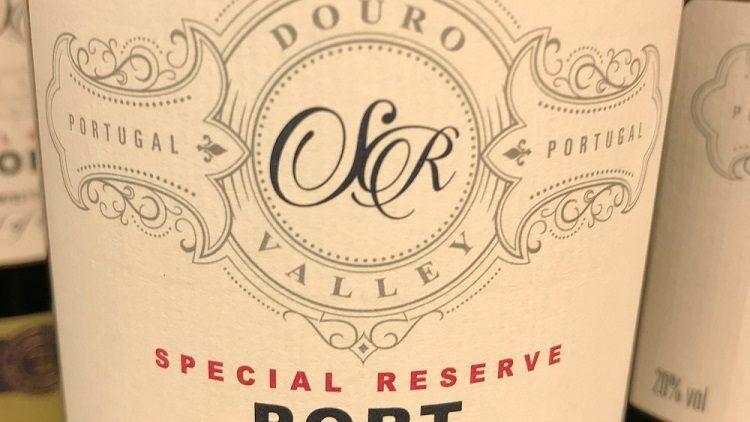 TTD Reserve Port is currently on special offer at £8.50 from £10. What first attracted me to this is that it is made on the renowned Symington Family Estate. It’s probably the most famous name in the port industry responsible for such brands as Graham’s, Cockburn’s and Warres. Hand-picked grapes, two years in oak casks and the Symington name clearly on the label as the producer. I have bought several bottles. Don’t go to the Camberley branch, there is a shortage! Pip pip with Christmas thoughts next month. This article first appeared in Hospitality & Catering News and the full article can be read here.